We can all agree that we want our pets to continue to live longer. Our aging pet care series blog is designed to inform the reader on tips to maintain the quality of life of our pets as they grow older. We last discussed certain indicators of our pets’ quality of life that we can pay attention to at home on a daily basis. Today, I will go over 4 recommended steps to better monitor our pets as they age. What is the cutoff for when my pet becomes geriatric? This is not always an easy question to answer. In general, toy breed dogs live longer than giant breeds. An expected life span for ‘Ginger’, the Toy Poodle is 12-15 years, whereas ‘Moe’ the Great Dane is expected to only live for 8-10 years. Furthermore, ‘Fluffy’ the feline can easily live to 20 years old!! However, most veterinarians agree that at 8 years of age and older, your pet is considered “senior” or geriatric simply because we start to see an increased incidence of age related disorders at this age. So, what do I do if I begin to notice changes in my pet’s lifestyle and habits? The answer to these questions is not always so simple. However, one the most influential factors in being able to successfully manage chronic, degenerative conditions that occur in aging pets is early detection of the disease. The most effective way is by increasing our level of monitoring as our pets age. Decreased dependency on vaccinations: Because most of our pets’ vaccines have been repeatedly boosted throughout their lives, we can sometimes decrease the amount of vaccines that we give as they age. For certain vaccinations, like the Distemper/Parvovirus vaccines, we can do an immunological test, called a titer, to assess whether or not we need to boost this vaccine. However, for the rabies vaccine, it is required by law to keep your pet up to date. Bi-Annual Veterinary Exams: For a senior pet it is ideal to have regular physical exams more than just once a year. 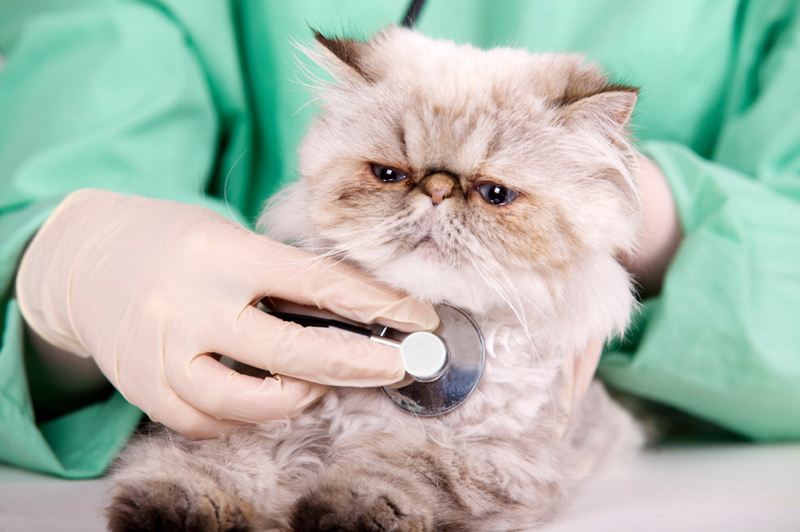 A complete physical exam is often the most useful tool that a veterinarian has. During this exam, the patient is examined from head-to-toe, including a thorough exam of the ears, eyes, nose, throat, heart, lungs, all abdominal organs, musculoskeletal system, and neurologic system. Senior Wellness Diagnostic Testing: This often includes complete, broad-spectrum blood work and urine testing. These tests allow for a better understanding of the underlying function of all organ systems including the liver, kidneys, total blood cell counts, reproductive/endocrine systems, electrolytes, and proteins. We recommend to this panel at least once a year. Xrays/Abdominal Ultrasounds: These are imaging tools that allow your veterinarian to combine a picture with the test results that they collect from the senior wellness testing, helping to create a complete understanding of your pet’s health on a microscopic and macroscopic level. At The Worth Street Veterinary Center, we are committed to creating a smooth transition into senior pet care. If you have any questions or would like to schedule a senior wellness exam, please feel free to email or call our office. Let’s grow old together!